Rob Greenhalgh will join MAPFRE in place of Michel Desjoyeaux to boost the Spanish team's crew after its disappointing last place finish on the opening leg of the Volvo Ocean Race. Greenhalgh has previously won the race in 2005-6 on his first attempt with ABN AMRO One and has since raced with Puma and Abu Dhabi Ocean Racing. He said: “I got the call during this stopover and it’s been a bit manic getting all my affairs in order at home ready to join the team,” he said. “I always wanted to take part in this edition but because of other projects couldn’t commit until now. 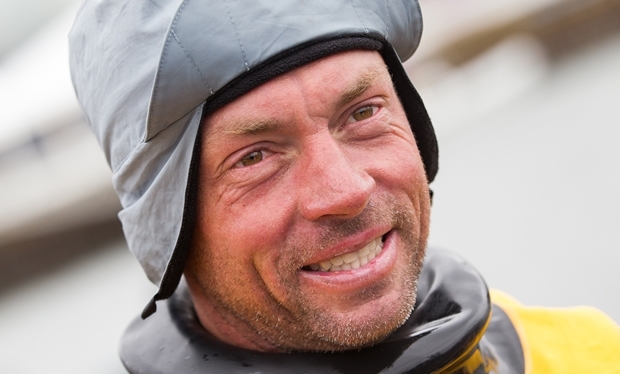 He will find himself in into opposition with his younger sister, Libby, who is navigator on Team SCA. The Britons are the first brother and sister to compete in opposing boats in the race since Tanya and Edwin Visser raced on Maiden and Equity & Law respectively in the 1989-90 Whitbread Round the World Race. Ironically, Libby Greenhalgh guided Team SCA past MAPFRE to beat them into sixth place in the opening leg from Alicante to Cape Town. “I’m stoked to have him in the race against us,” Libby said. “He’s been giving me advice since I got involved – and then he asked my advice too before joining MAPFRE. So how does Rob feel about competing against his younger sister? “Well, it’s not for the first time. We’ve raced against each before in other forms of sailing. I’m looking forward to it." Rob Greenhalgh will join the MAPFRE crew after flying in to Cape Town from the United Kingdom on Friday morning and will compete in that day’s practice race.